Teaching Science in Secondary Schools serves as a comprehensive, up-to-date and accessible resource and reference material for teachers and students of Science. It focuses on the methodology of effective and result-oriented teaching of the various branches of Science, with the aim of broadening the skills of science teachers as well as increases the depth of scientific enquiry amongst students. Particularly, it emphasizes valuable teaching techniques in ‘resource poor’ classroom contexts. Thus, it is an indispensable professional tool for Science teachers in developing countries. 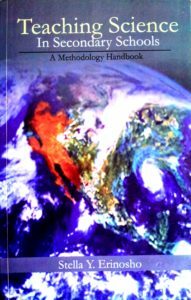 Importantly, it provides general and specific frameworks for the effective teaching of Science, with ample detailed descriptions and illustrations that could stimulate critical thinking about some of the assumption about Science and Science teaching, and that could make art of Science teaching a friendly activity. This application of the techniques and skills it discusses is also of much critical relevance to teachers in other fields of education.